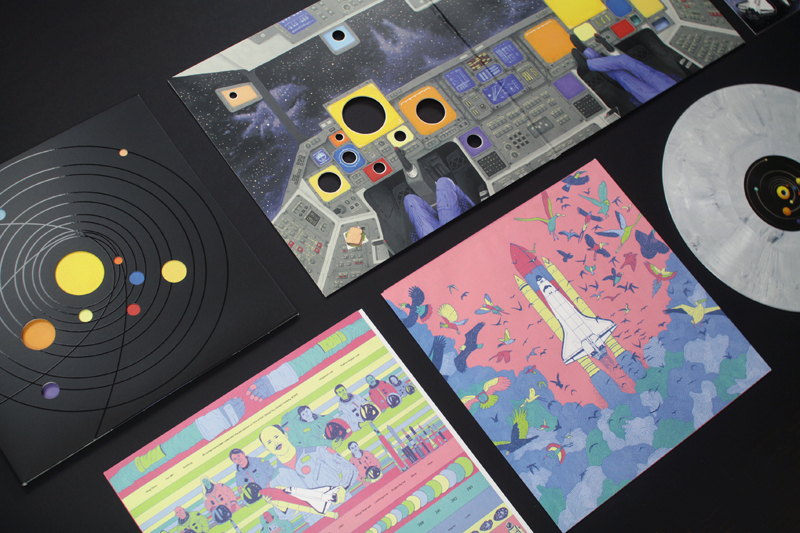 Vinyl Moon is an albums project available in limited edition, with the ambition to make people discover talented musicians but not very famous, through mixtapes. 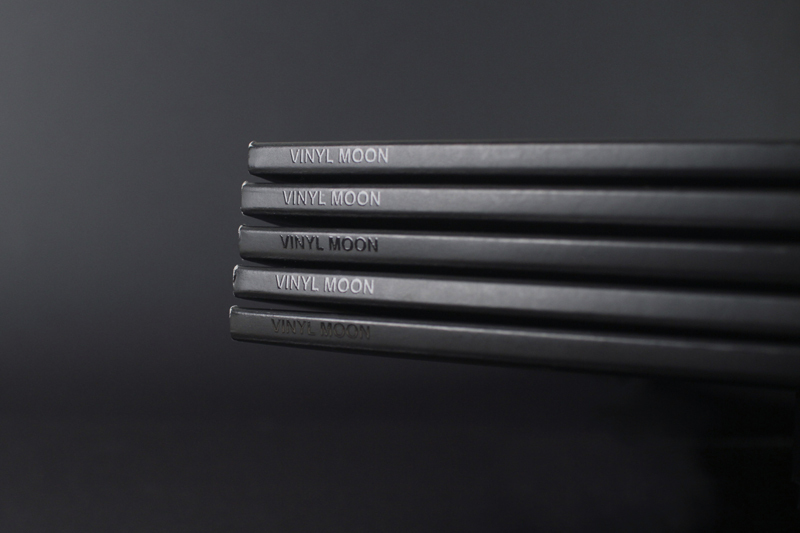 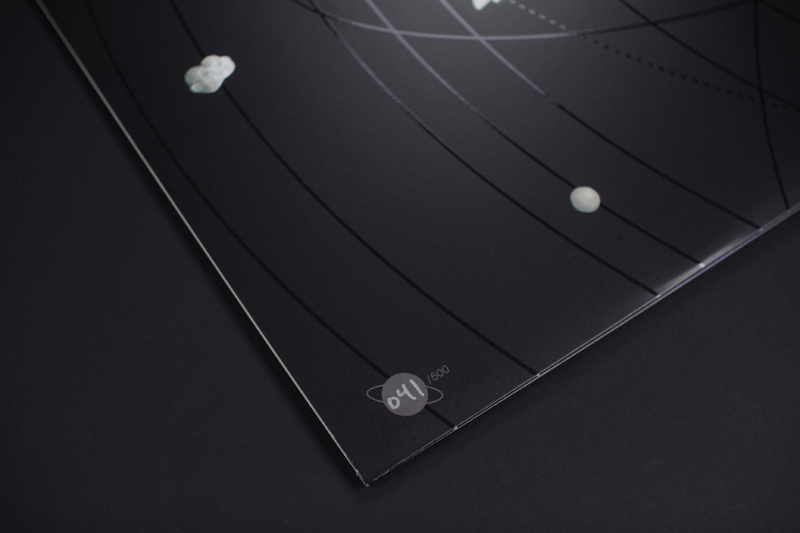 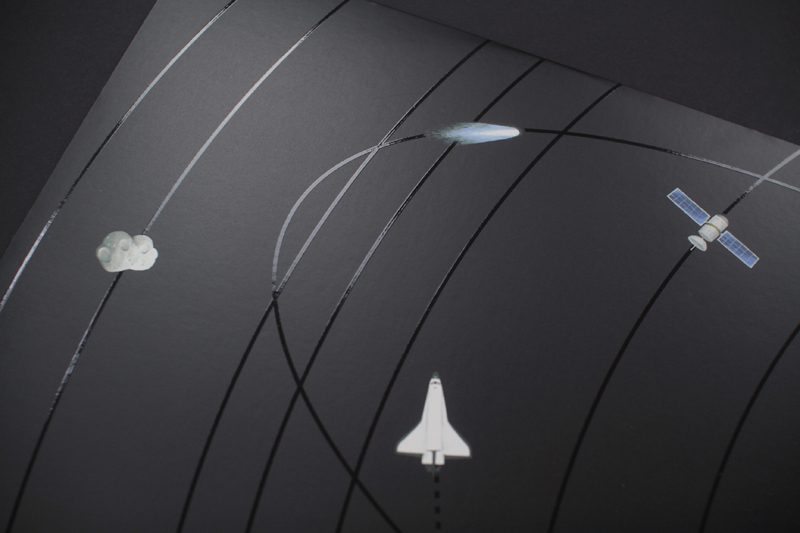 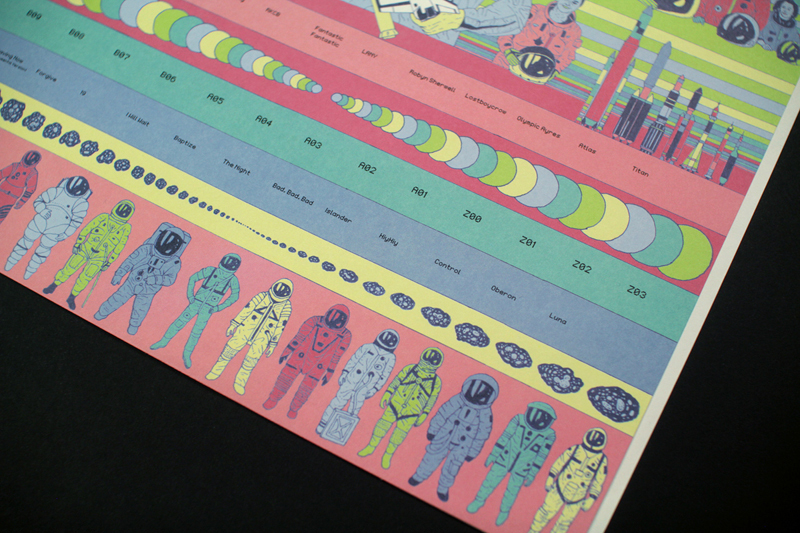 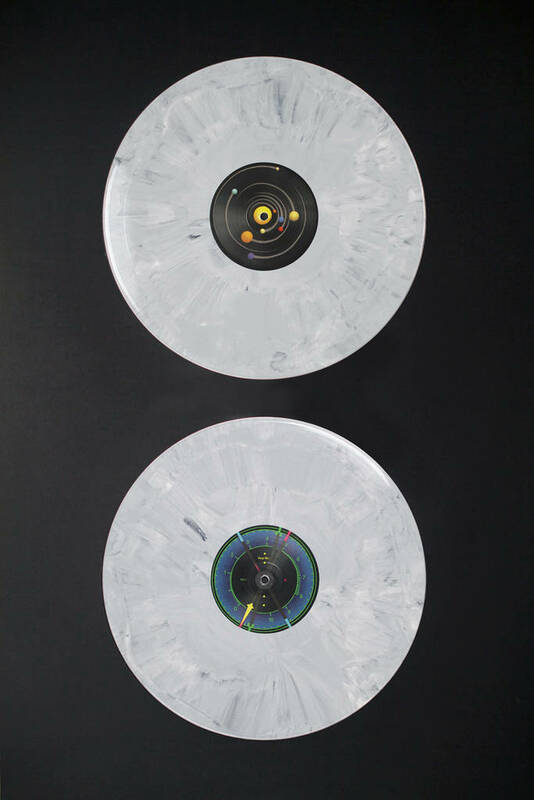 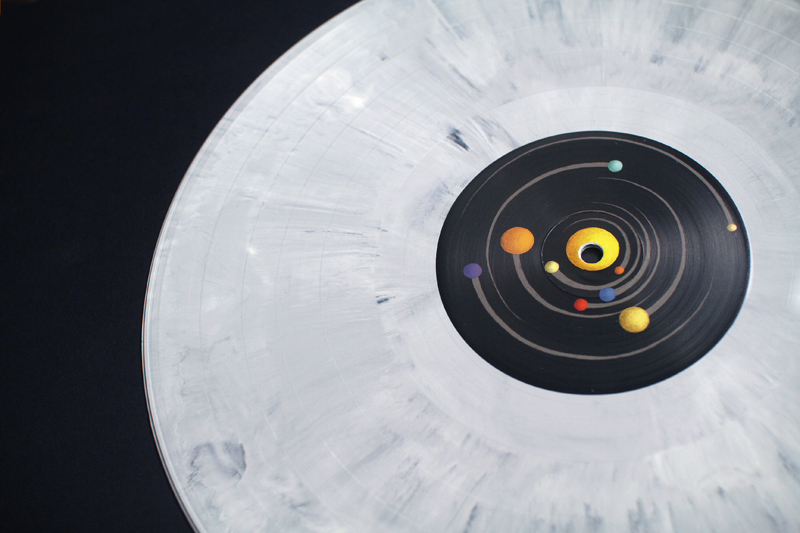 For each vinyls album packaging, Vinyl Moon calls each month a different artist or designer. 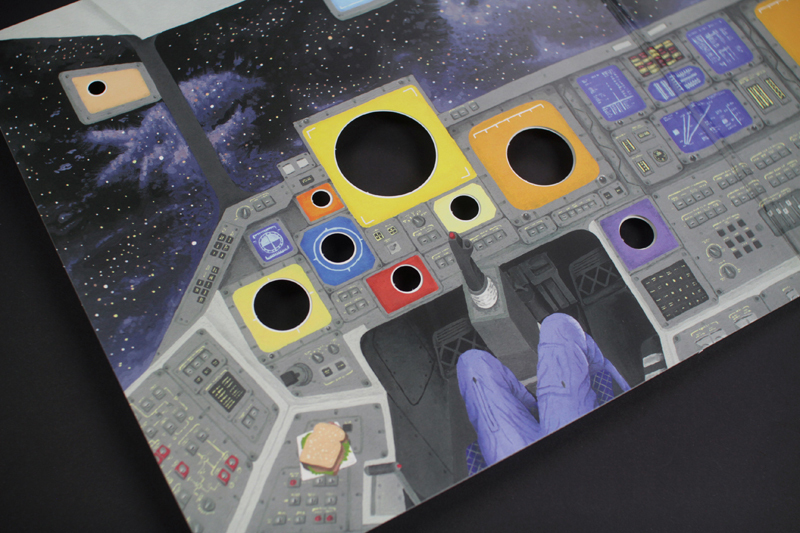 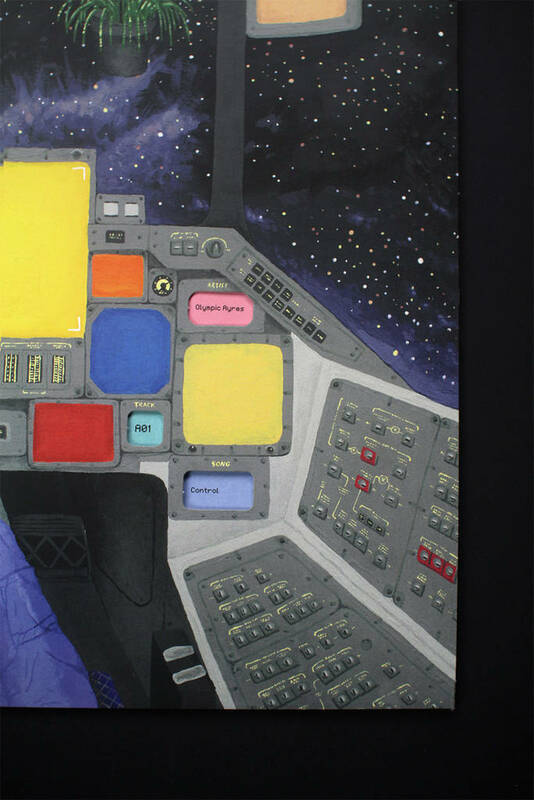 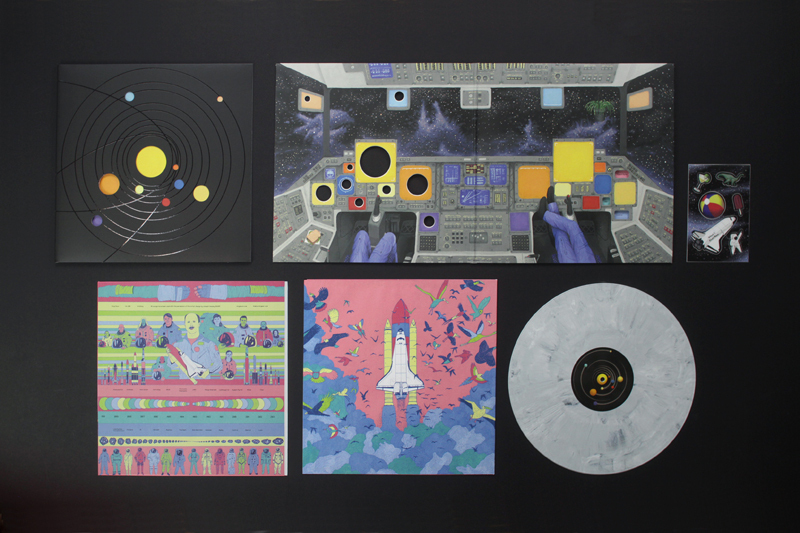 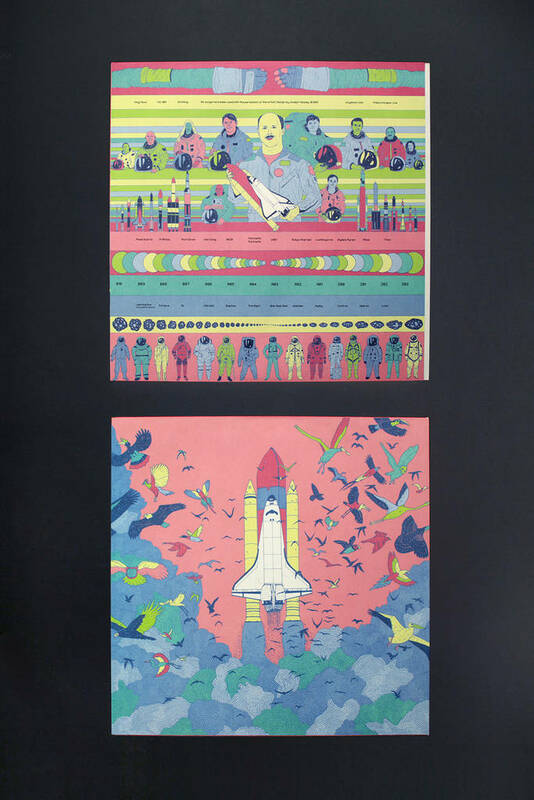 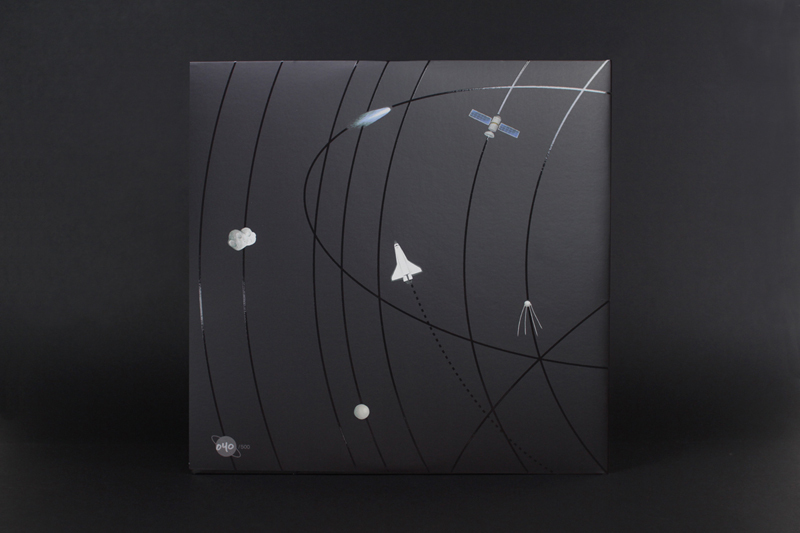 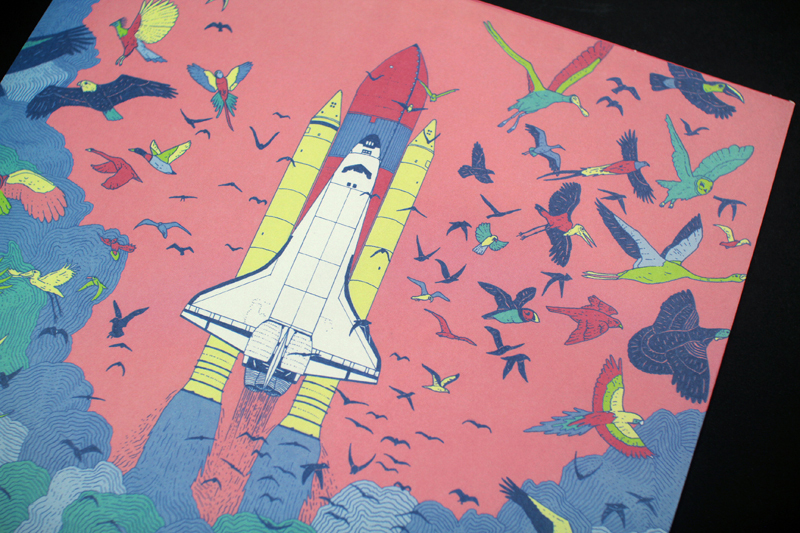 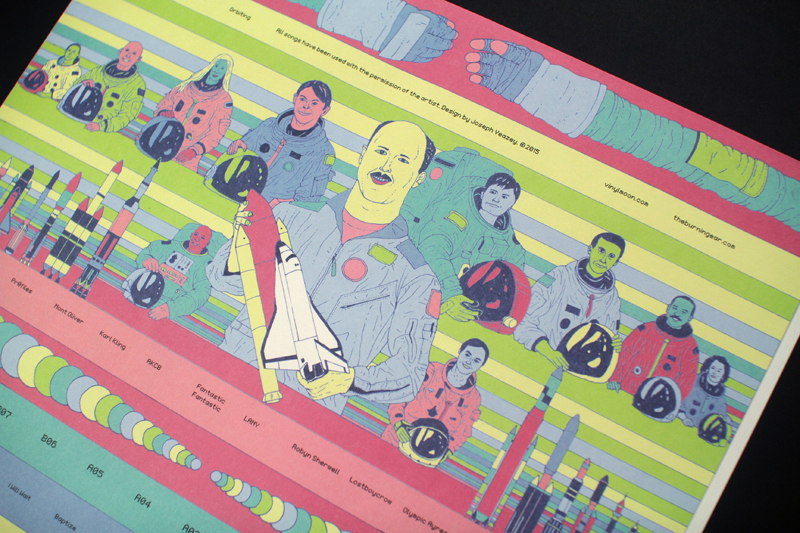 For the packaging of Volume 1 Orbiting, they’ve asked designer Joseph Veazy to imagine an interactive cover on a space theme for 10 indie/electronic songs. 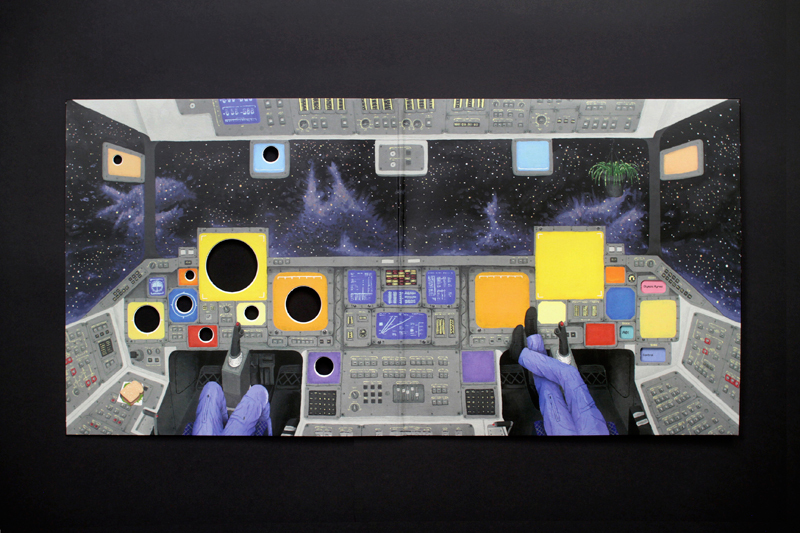 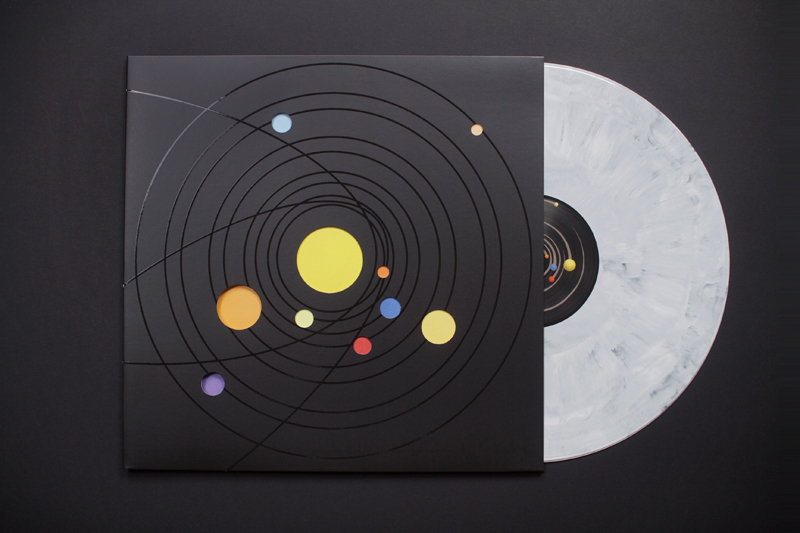 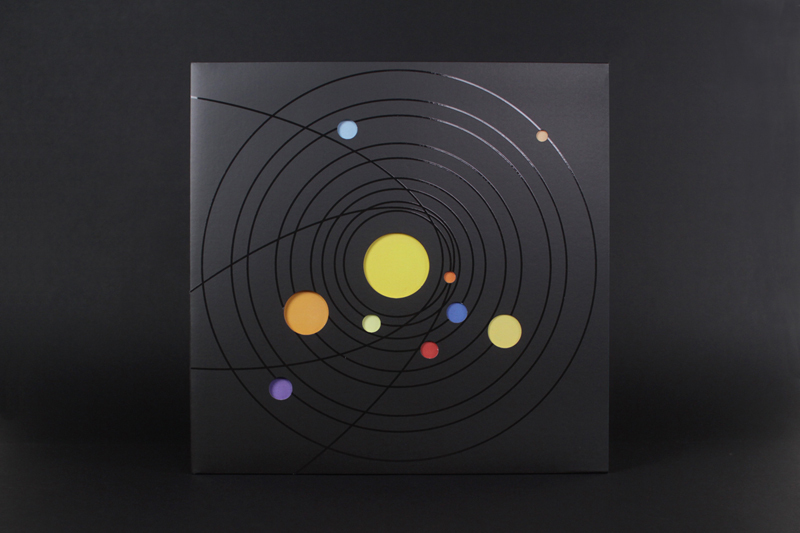 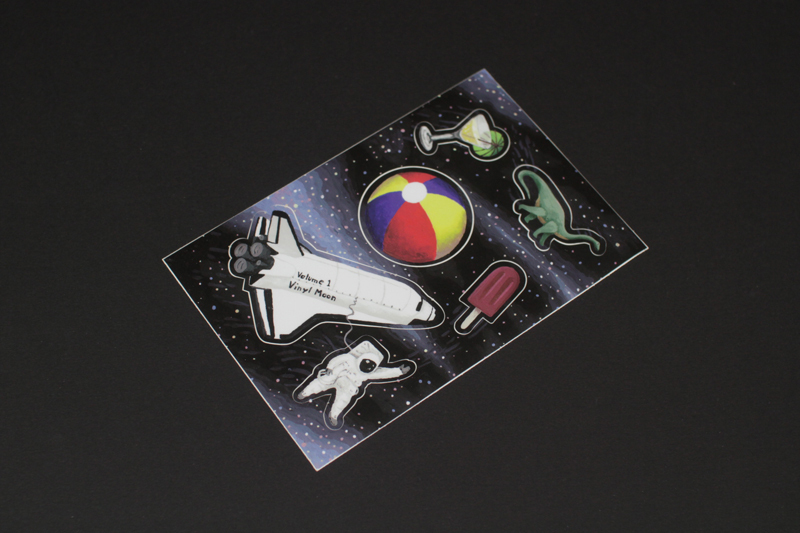 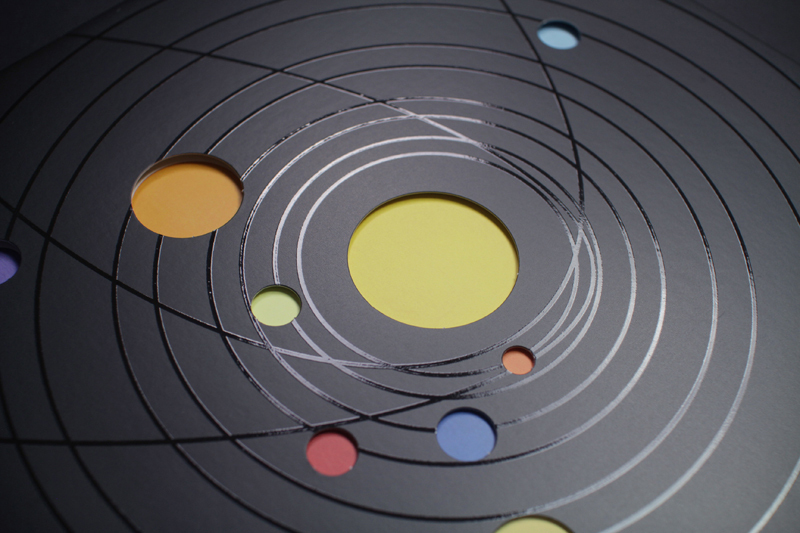 For this, Joseph thought a cover in a movement with two levels of diecuts, the use of a UV spot varnish to highlight the planets in orbit, sticker sheets, a grey marbled disk to mimic the Moon’s surface and a smart system to create interactions between words and illustrations.